The new iPad Pro is finally here, boasting a new edge-to-edge display, improved internal specs, and support for the new Apple Pencil. Along with modernizing the design, Apple also changed the sizes of the iPad Pro, now offering one with an 11-inch display, and one with a 12.9-inch display. But how does the new 11-inch iPad Pro compare with the previous generation 10.5-inch device? Is it really worth shelling out the extra cash for? After all, the 10.5-inch 2017 iPad Pro is still available for purchase at the same $ 650 price tag. We put the 11-inch 2018 iPad Pro head-to-head with the 10.5-inch 2017 iPad Pro to find out. Both the new 11-inch iPad Pro and the older 10.5-inch iPad Pro are excellent performers, but one of them is clearly better than the other. 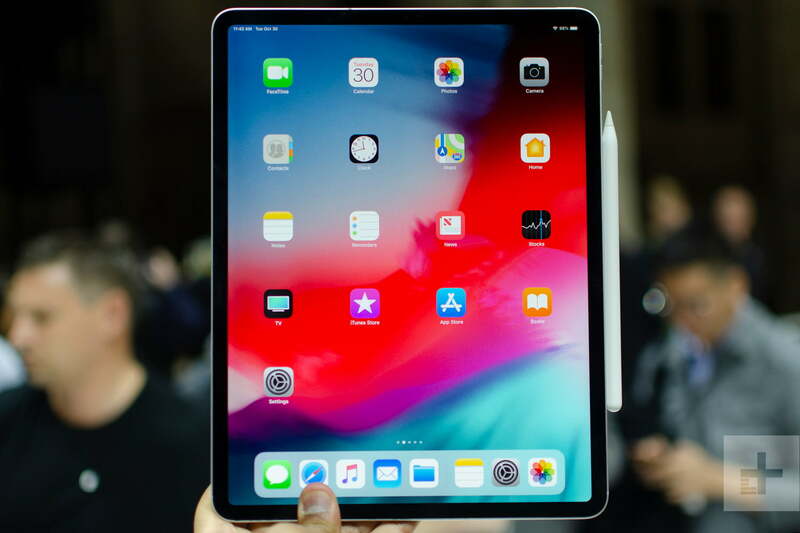 The new 11-inch iPad Pro features Apple’s new A12X Bionic processor, which has been hailed since its announcement to offer laptop-class performance. The older A10X Fusion is a great chip but it just doesn’t compare to the new one. The battery life of the two iPads, on the other hand, is pretty much the same. Apple says both devices will get around 10 hours of web surfing, so we’re not expecting many discrepancies between the two. Neither of the two tablets charges wirelessly despite Apple adopting wireless charging for new iPhones and the Apple Watch. Because of the better performance, the new 11-inch iPad Pro is the clear winner here. Both the new iPad Pro and its predecessor feature Apple’s classic design — but the 2018 iPad Pro takes things up a notch. With an edge-to-edge display on the iPad Pro, the bezels are far smaller than the previous generation. Add to that the nice flat edges and you have an ultra-modern device. That’s not to say that previous-generation iPad Pro doesn’t look good. It still has a beautiful aluminum build and classy look, plus it’s available in a few more colors — Rose Gold and Gold. The 11-inch iPad Pro is only available in Space Gray and Silver. Both iPads should have the same durability as both feature aluminum backs and glass fronts, and as such, they could both shatter if you drop them. Perhaps the biggest design difference between the two tablets is the fact that Apple has gotten rid of the headphone jack in the new 11-inch iPad. Also, gone is the Lightning port, which has been replaced with the more versatile USB-C port. That means you can now do more with the new iPad Pro, such as connect it to external displays, or use it to charge your iPhone. We think the addition of USB-C trumps the lack of the headphone jack, so the new iPad gets the win. Despite adopting OLED displays on other products, Apple is sticking to LCD for the iPad. The 2017 iPad Pro has a 10.5-inch display — while the new iPad Pro steps things up to 11 inches. The resolution is slightly sharper on the 11-inch iPad Pro, but both have a pixel density of 264 pixels per inch. Both also retain Apple’s ProMotion technology, which offers a 120Hz refresh rate for smoother scrolling. Still, because of the fact that the 2018 iPad Pro has a slightly larger display, even if it’s only a small difference, it’s the winner here. While you may not use your iPad to take photos the same way you would with your smartphone, the camera may still be important to you, especially when it comes to video chatting with the front-facing camera. Ultimately, however, the cameras are the same on both the 10.5-inch iPad Pro and the newer 11-inch iPad Pro. The rear-facing camera on the devices comes in at 12 megapixels, while the front-facing cam sits in at 7 megapixels. Both devices can record 4K video at 60 frames per second, but you can film up to 240 frames per second at 720p. The 2018 iPad Pro still takes the win, though, as it comes with Smart HDR, a feature introduced on this year’s iPhones. It helps with high-contrast lighting and should deliver a better camera experience. Both the 11-inch iPad Pro and the 10.5-inch iPad Pro now run iOS 12, though you may need to update a 10.5-inch iPad Pro to iOS 12 when you get it. Because of the way Apple handles updates, they will both get new versions of iOS as they’re released. The 11-inch iPad Pro is one year newer, so it may be supported with updates for longer. Because of that, it’s the winner here. The overall experience of the 11-inch iPad Pro and 10.5-inch iPad Pro will be largely the same but there are a few differences to keep in mind. For starters, the new 11-inch iPad Pro offers Apple’s Face ID, which allows you to unlock the device with facial recognition like you can on newer iPhones. The new iPad also supports the new Apple Pencil, which can magnetically connect to the tablet to pair and charge wirelessly, which is a nice touch. The older iPad Pro has a fingerprint sensor and a home button, which may be the only special feature it has over the newer model. 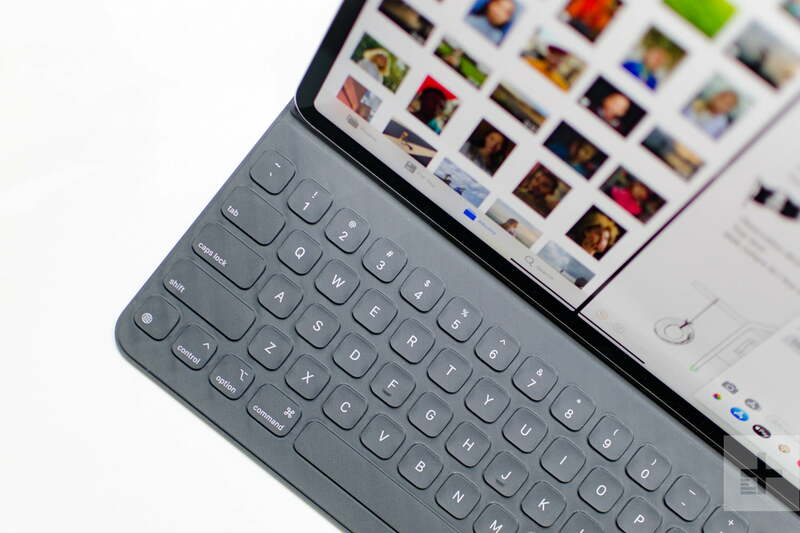 Another major special feature in the 11-inch iPad Pro, as mentioned, is the fact that it has a USB-C port, essentially giving it access to a range of peripherals, like displays, and so on. The 2018 iPad Pro is clearly a better device but it comes at a price. While the 10.5-inch iPad Pro comes at $ 650, the 11-inch iPad Pro steps things up to $ 800. In other words, if you want that extra processing power, edge-to-edge display, and access to the improved Apple Pencil, you will have to pay for it. Prices range up from there, too. For the 10.5-inch 2017 iPad Pro, you will pay $ 800 for the 256GB model and $ 1,000 for the 512GB model. For the newer 11-inch iPad Pro, you need to shell out $ 950 for the 256GB model, $ 1,150 for the 512GB model, and $ 1,550 for the 1TB model. No surprises here, the new 11-inch 2018 iPad Pro is the clear winner. The device has a far better processor, larger display, and more modern design. If you’re looking for the most powerful tablet you can buy, it’s the one to go for. That’s not to say that the 10.5-inch iPad isn’t a great option. It boasts still-excellent performance and a classic design, even if it’s not as flashy as the newer device. Our advice? If you simply want a tablet to play a few games on or use around the house, the 10.5-inch iPad Pro is more than enough — you may even be more than satisfied with the new $ 330 iPad. If you’re looking for power and performance, go for the newer tablet.